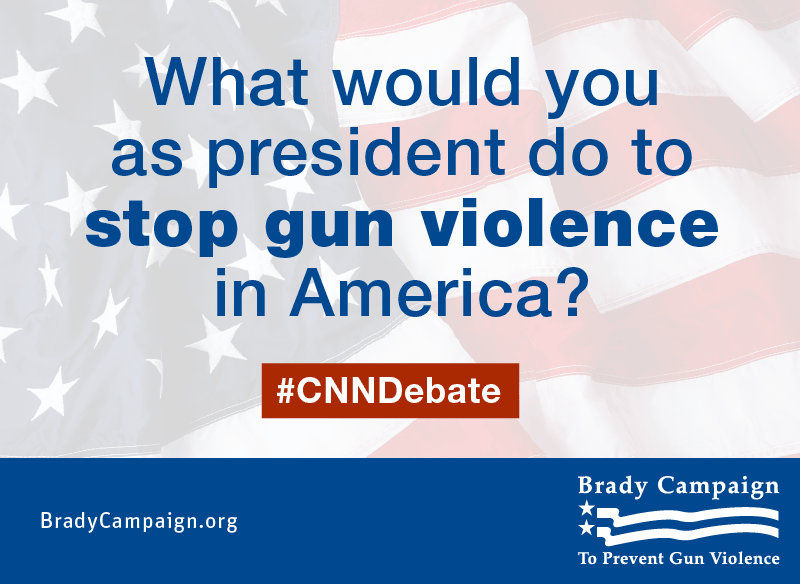 Let’s ask our politicians to answer some serious questions about gun violence prevention. Then we can find out who is on the side of public health and safety and who is spouting the bogus arguments of the corporate gun lobby. Avoiding this serious epidemic should not be allowed by the media or the public. It’s time to stand up and ask the questions and get the answers the families of the many gun violence victims deserve. It’s past time to look at ourselves in the mirror to see the insanity of our American gun culture. Looking carefully reveals all of the hypocrisy and misleading arguments presented to us by the corporate gun lobby and the gun rights extremists. How did this happen? Good question. We are experiencing an interesting time in our country. Take the Donald Trump phenomenon. The linked article likens Trump to a wrestler while everyone else is boxing. Interesting. As we know, professional wrestling has a lot of drama and fakiness to it compared to boxing. I can only be reminded of former Minnesota Governor Jesse Ventura and what that conjures up for this Minnesotan who lived through his term in office. In the linked article Ventura actually thinks about running again and maybe with Donald Trump. You just can’t make this stuff up. It’s the fear and paranoia of government that is fueling the political system right now. The fact that Donald Trump, who has never held public office, has no experience with foreign policy or governing anything is surging in the polls should bring us up short. Do we really want someone running for President whose only platform is that he is the greatest and everyone else is stupid? And what does this have to do with our gun culture? The extreme view of the second amendment that espouses the need for guns to protect oneself from the government and being ready to fight the government has been fueled by the gun lobby for decades. We now have Americans who are heavily armed and ready to fight against their own government. These people believe that their rights extend to allowing them and just about anyone for that matter, to carry their guns openly displayed and loaded, in public. They believe that they should be able to own as many guns as they want and any kind they want, including military style assault rifles. For starters, the motto for this year’s convention was: “If they can ban one, they can ban them all.” So fear was the very slogan. Then, the NRA’s Executive Vice President and CEO Wayne LaPierre upped the fear factor by telling the attendees:“There’s no telling how far President Obama will go to dismantle our freedoms and reshape America into an America that you and I will not even recognize.” Now even assuming Obama wanted to somehow “dismantle our freedoms,” as LaPierre claims, how could Obama do that in the final 18 months of his presidency when the Republicans control the Senate, the House, and the Supreme Court? He can’t, and the NRA knows that. But facts don’t matter when you are trying to scare people (and get their money). In fact, they often get in the way. Pretty clear, right? But the NRA publicly claimed that Obama wanted to “ban use of firearms for home self defense” and “ban the manufacture, sale and possession of handguns.” That was simply and utterly a fabrication by the NRA. But no matter. Lies seem to be OK with certain Americans. I came across an article about one of the gun rights extremists’ latest lies that I want to write about. Their claim that the Swiss can carry guns and own a lot of guns and yet, their gun death rate is low is bogus. An article in Salon exposes the false claims about guns in Switzerland. Let’s take a look at what’s actually likely to be going on in that picture. Switzerland’s high rate of gun ownership is tied to the fact that it does not have a standing army so virtually every male citizen is conscripted into the militia where they receive comprehensive weapons training. Since they are a militia, they keep their government issued weapons (without ammunition) at home. Therefore, many of the guns in Swiss homes were issued to them by the government and most Swiss gun owners are highly trained in gun safety. This is in contrast to many untrained American yahoos who hang around Starbucks with loaded AR-15s leaning dangerously against the table top while they sip their mocha frappucino. When Swiss militia members complete their service they are allowed to keep their weapon once they’ve been approved for an acquisition permit and can prove they have justification for having it. Private ownership of guns, along with ammunition, is also allowed under an acquisition permit with certain restrictions, including against those with criminal records and history of addiction and psychiatric problems. And with a law worthy of Orwell’s worst nightmare, every gun in Switzerland is registered by the government. The rate of gun deaths in the US doesn’t come anywhere close by comparison to that of Switzerland where the gun death rate is .77 per 100,000 compared to the U.S. at 2.97 even though there is a large gun ownership percentage. And what’s more, the Swiss are having some interesting debates about “gun control” and new restrictions after some shootings there. They are not immune to the American gun culture apparently and since there is high gun ownership, they do have some conundrums presented by that fact. If you’re a die-hard, red-meat internet trawler of course you’ve heard of Dana Loesch. She’s been a helpmate of Glenn Beck, hosts her own radio show and tweets away to a responsive and raucous crew. Of course she has all the right credentials to promote guns: makes sure you see that little Christian icon that she wears around her neck (stole the idea I suspect from Laura Ingraham), never lets you forget that she’s a good ol’ Southern gal and, in case you thought there was any chance she would let the slightest, liberal influence into her home life, she home-schooled her kids. It’s a masterful image, made expressly for red-meat consumption, and it figures that sooner or later she’d wind up pimping for the NRA. (…) As for Dana’s comments that she needs a gun to protect her family and her home, a bit of research reveals some facts that negate everything she says. A survey of 14,000 crime victims reveals that in less than 1% of the criminal attacks did the victim protect themselves with a gun. And when they did defend themselves, the number of victims who were injured was the same whether or not they had a gun. Want to know the real reason the ‘media’ doesn’t report all those home invasions where a woman defends her life and sacred honor with a gun? Because they account for less than 2% of all home invasions, that’s why. In fact, American women are much more likely to be killed by a gun in homes where a gun is present. I happen to know that one from personal experience after my sister was shot and killed in a domestic dispute. Women in other countries are safer from gun violence ( at least in countries not at war) than women in the U.S. What a sad and tragic reality. And it is reality. I am pretty tired of fact free arguments and the sad fact that so many people are gullible enough to believe them. Either that, or they are paranoid and fearful enough to believe bogus arguments. We are being dumbed down. The fact that Donald Trump is so far ahead of his opponents is frightening and of great concern. Donald Trump happens to believe in the bogus corporate gun lobby arguments. Trump waa asked about our gun culture after the horrific shooting of 2 Virginia journalists on live TV. He deflected the question by answering that we have to deal with our mental health system. He’s right about that one. But he offered no solutions nor do those who make this claim want to pony up the funding to actually do something about our broken mental health system. But in the end, that is the bogus argument to get people like Trump and other gun rights extremists off the hook when it comes to actually talking about the gun problem in the U.S. And Trump is singing the same tune as all of the Presidential candidates. Trump makes up other stuff or just ignores the facts and spends his time attacking and complaining about an America we once had and can get back again. How will we “get America back” if we are ignoring one of our most serious public health and safety epidemics? Health care professionals are offering us the facts and the research but the bogus arguments from the right are drowning out the facts. At least the Democratic candidates are not afraid to talk about the issue. Hillary Clinton is strong on the gun issue as is Martin O’Malley. Bernie Sanders’ position is more complicated and more nuanced for which he has taken some heat. All I know is that common sense is seriously lacking in today’s world of politics in America. The facts are that 88 Americans a day are dying from gunshot injuries and we’re talking about sending Mexicans back to Mexico and keeping America great. What’s so great about a country that is allowing 32,000 plus Americans die from gun injuries? I want an America where we talk openly and honestly about our problems and then try to solve them in a reasonable manner with research to back up the problems and the solutions. We don’t have that now, thanks to the far right and gun lobby resistance to dealing with the facts. In fact, attempts to do serious research on important issues of our time like the environment, health care, gun violence and others, is going backwards thanks to the far right according to this article. That really does have to change. I hope you will join with me and join one of the many organizations working on gun violence prevention and gun safety reform and make the changes we all deserve to be safe in our homes and our communities. There is a Republican presidential primary debate tonight. Any bets on whether the issue of guns and what to do about all of the shootings comes up? If it does, take notes.